When my family came to visit for Easter that means the family dogs came along. 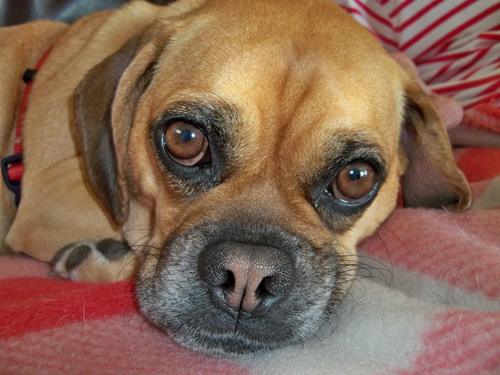 My grandma's puggle - Maggie. 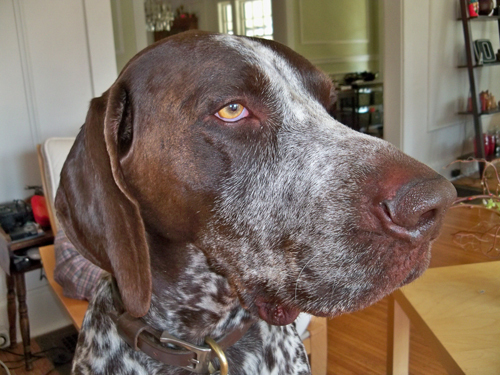 And my parent's dog Wally. Well, he is supposed to be my sister's dog, but my parents are raising him. Heh heh. 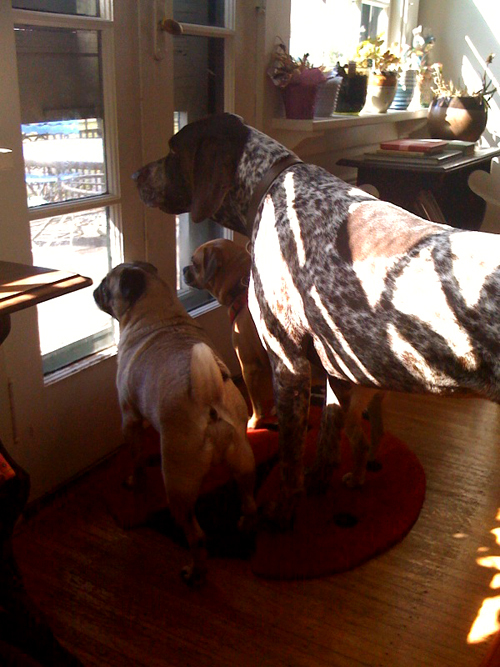 It was like Oscar had his cousins over to stay - the three of them ran like a pack around the house and barked the roof off everytime someone walked past the house. Then we got out Oscar's basket of toys and they pulled them all out one by one. Oscar had a good Easter. Sounds like Oscar had a ball! How did Stewie take the pack running around all amok? Stewie had to stay in our bedroom because Wally kept trying to taste him.